Amazon Web Services and Uber were some of the companies holding Company Presentations for students at IE last month. Talent & Careers also partnered up with companies such as Nielsen, SAP and Accenture to hold off-campus events. 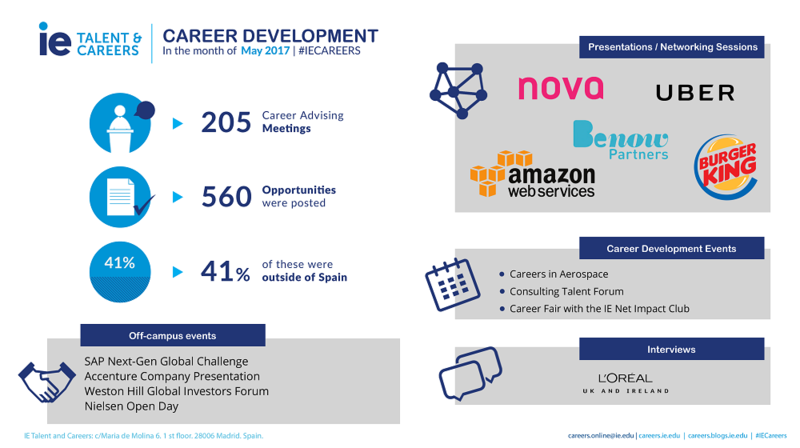 The following is a summary of IE Talent & Careers‘ career development activities with companies and students during the month of May 2’17. As a result, the department is able to provide on-going, top quality service to students across all IE programs.